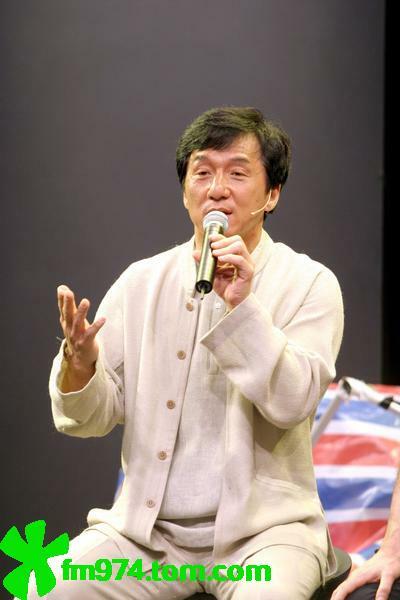 To read the latest news about Jackie, click here. This space will be used for news that's of interest to Kids Corner visitors and will have links to the main news page. Jackie Announces Charity Cup Race! 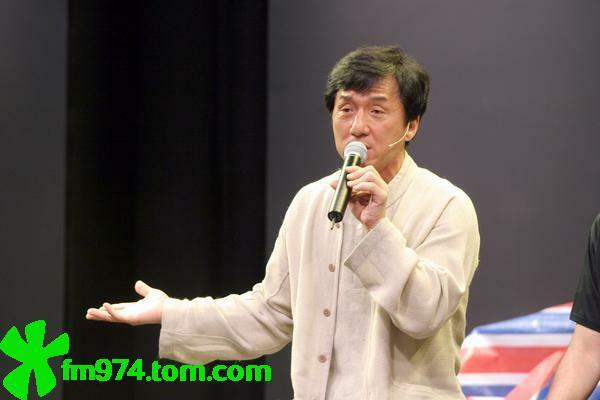 Jackie has announced that the Jackie Chan Charity Cup Race will indeed take place this year on September 4th in Shanghai. Here are some photos from the news conference. The young lady in the photos is actress Huang Yi. Here are some gorgeous Buddy Bears from German fans Petra and Sibylle. 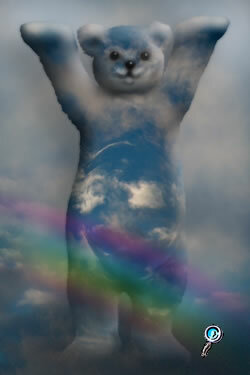 Click on them to see all the bears! 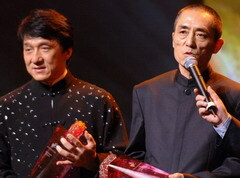 Jackie was honored at the Shanghai International Film Festival for his contributions to Asian film. Congratulations to Jackie! 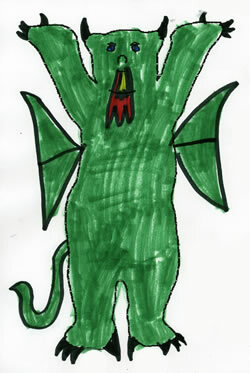 "I Have A Pet Named Jackie"
Meet "Jackie Chan." Jackie belongs to Kids Corner friends Katie and Sarah from Australia. 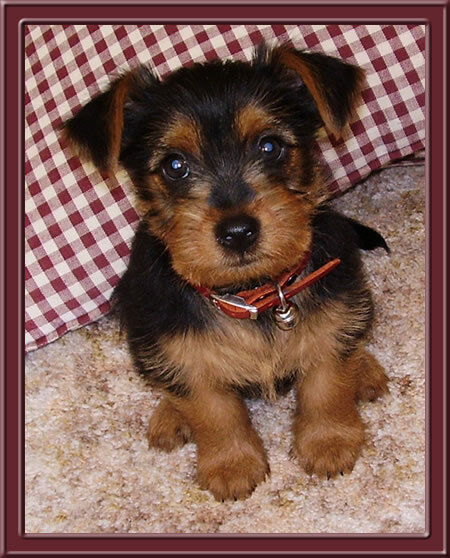 Click on Jackie's picture to see other pets named after Jackie! There are all kinds of pirates these days. The kind that Jackie is fighting against aren't people like Blackbeard or Henry Morgan. They are ordinary people doing illegal things. They steal movies and sell them inexpensively. When they do this, they take money away from the people who deserve it. And Jackie wants it stopped. 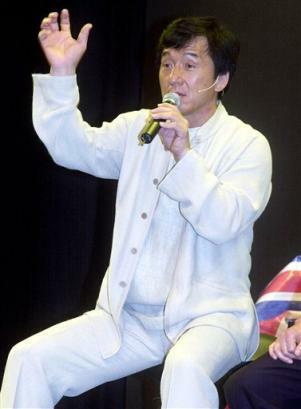 HONG KONG  Hong Kong action star Jackie Chan battled copyright pirates Thursday, smashing fake designer watches with a hammer and using a chain saw to destroy a streetside stand hawking counterfeit bags and clothes. Chan's assault on the illegal industry was part of a skit about him breaking up a counterfeit sales operation. The media event was organized by the International Trademark Association. "It may be funny to watch our skit. But there's nothing funny about counterfeits," Chan said. 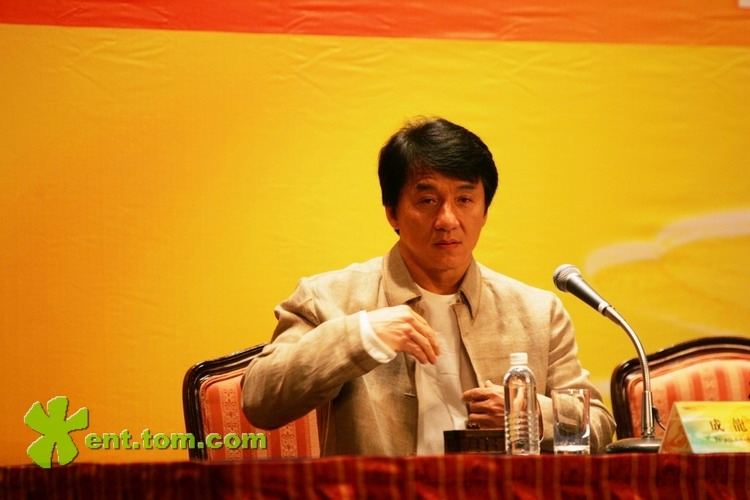 The movie star said that piracy is seriously damaging the film industry in Hong Kong. "Looking at the counterfeit problem, it really hurts," he said. "We used to make 300 movies a year here in Hong Kong. Now there are maybe 50 a year." 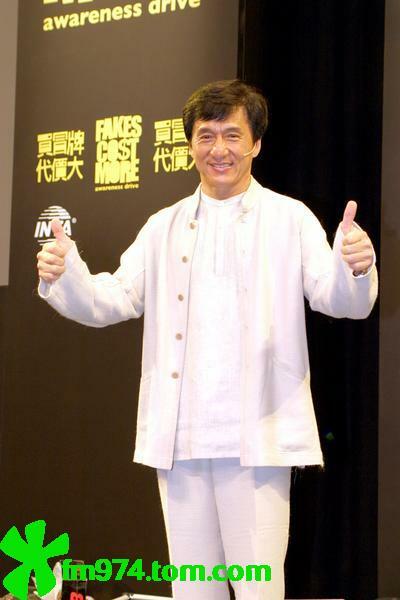 Chan used a flurry of karate chops against four assailants wearing Jackie Chan masks. He also cut a tie in half with scissors and ripped apart a pair of counterfeit shoes with his bare hands. The trademark association said counterfeiting is an industry with a global market value of $500 billion US. It produces goods ranging from baby formulas and DVDs to automotive and aviation parts. 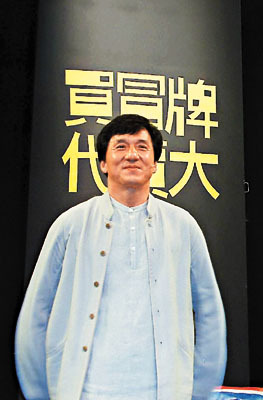 Jackie has been voted one of the top ten heroes by Mainland Chinese secondary students. He joins political figures and popular modern day people in the list. 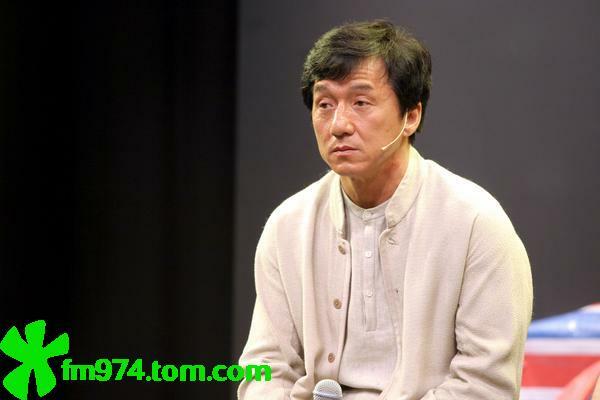 Jackie has continually proven himself to be a generous and caring person who devotes much of his private time to working for charity. This is certainly a quality of a true hero. Congratulations to Jackie! Kids Corner Forum Membership Inches Towards 300 Members! Hey kids of all ages! 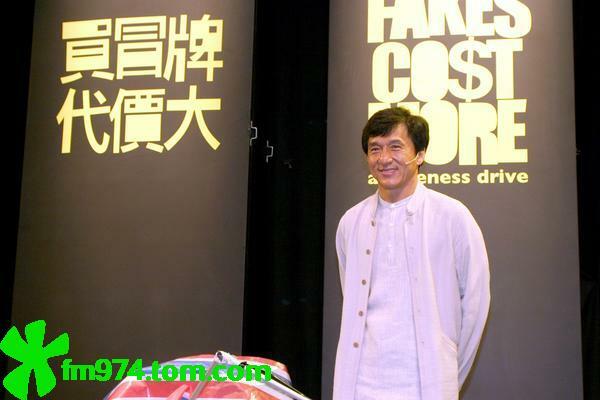 The Kids Corner Forum continues to be one of the most popular Jackie Chan forums on the Internet. There are people from all over the world who join in the daily discussion of Jackie's films, charity works, and other topics of interest. Why not join in the fun? Click here to visit the forum and if you'd like to join, just click on "register." 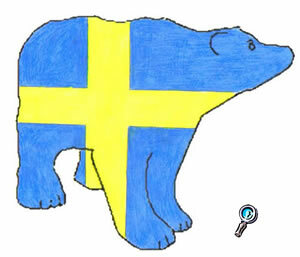 Swedish Flag Buddy Bear by Rebecca from Sweden! Click Rebecca's Buddy Bear to see all the bears!